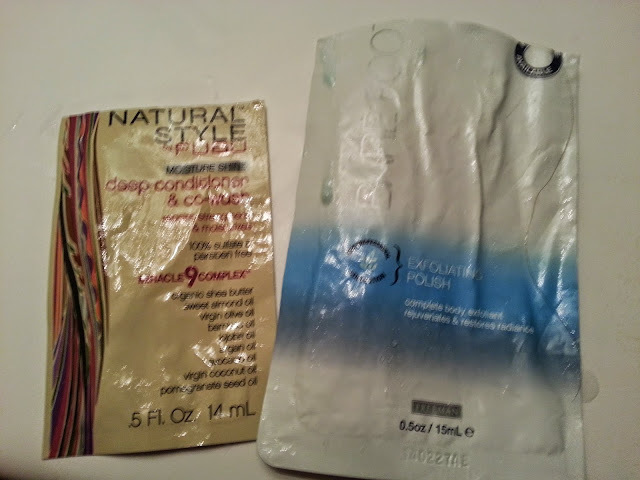 I've been trying to use up some of my older products, and I'm not getting through them as fast as I'd like! - Something I never thought I'd say haha. But seriously, I have a ton of skin care, and make up products that just aren't getting used. I see something new I just have to have, and everything just starts to pile up, so I've tried very hard to stay away from sales, and I haven't really purchased anything (besides a few things here and there that I needed) but there is so many things I want, and it's hard! Anyway - on to my post! 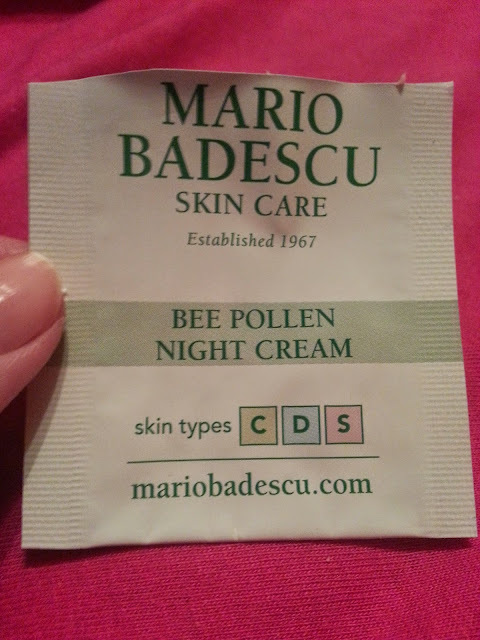 Mario Badescu - Bee Pollen Night Cream. I got this in a sample pack (in previous post here) and I loved it. I actually went and ordered/purchased a full size version just before I ran out of this foil packet. Scentsy Bar in Pumpkin Roll. This is probably one of my most favourite scents from Scentsy ever. Now I have probably over 30+ bars, so I don't run out too often. Anyway, I've used this one up. And I already have a backup :) If you're interested in ordering Scentsy, just let me know, and I can help you out! Fubu - Natural Style - Deep Conditioner. I got this in a Beauty Box 5 (2 packets actually... I've only used 1) and I didn't like it at all. It left my hair really greasy. You could get a few uses out of it as well. I would not purchase this in the future. I got this in an Ipsy bag (again 2 packets, and I've only used 1) and I didn't like it. 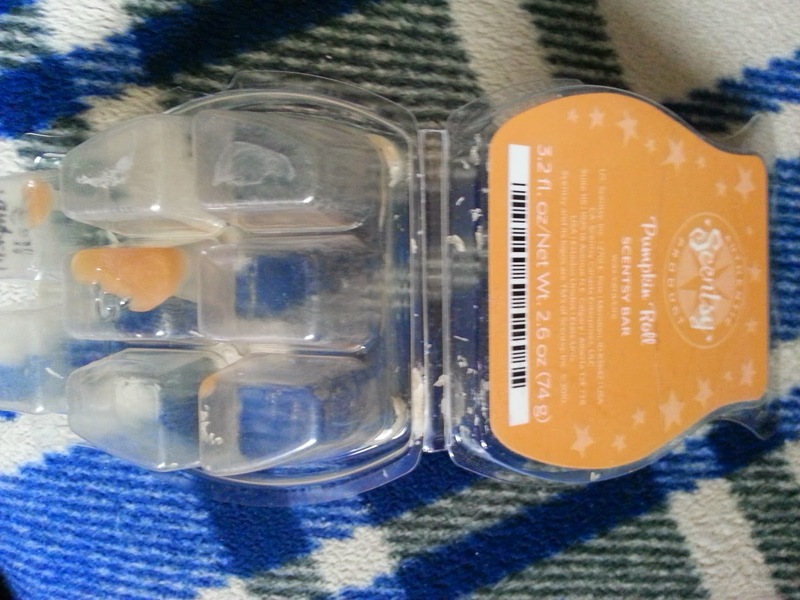 I originally thought it was a foot scrub, because of its name, but its actually a body scrub. It didn't lather like I thought it would. I prefer other body washes over this one. I would not purchase this in the future. 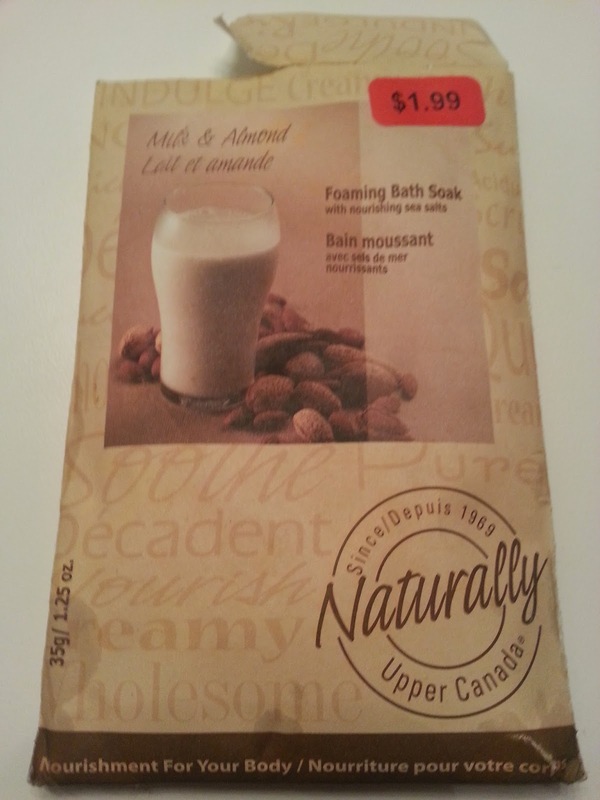 Naturally Upper Canada - Milk and Almond - Foaming Bath Soak with Nourishing Sea Salts. I originally purchased a few of these many, many, years ago from Sears. They were originally $2.99, marked down to $1.99, and then had an additional 75% off because they were being cleared out of the system. I also worked at Sears and got another 10% off employee discount, so these were very cheap when I did buy them. This one must have been hidden somewhere because it just popped up out of nowhere, so I decided to use it. It still foamed, and it smelled great. My skin is so soft after using it as well. I would repurchase, but I don't even know where these are sold now. I hope to get some more blog posts up in the next few days, and hopefully in the beginning of the New Year! Here are some things you will see soon!